Justine Vandergrift: country roots soul and jokes. 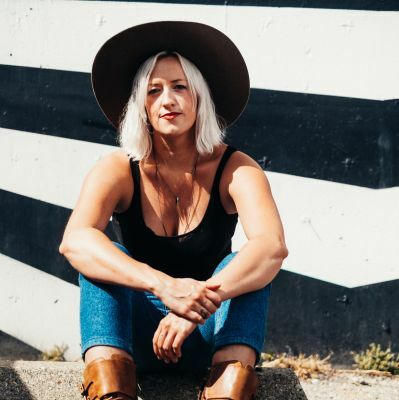 Justine Vandergrift’s clear, rich voice and finely-tuned song-craft bespeak an affinity with the likes of Patty Griffin, Bonnie Raitt, and Sarah Harmer, but her own brand of country soul has deeper roots than that, ones that dig into the hymns and folk songs of her central Alberta youth. Her three studio releases reveal a rare and irresistible knack for melody, and her recent album Sailor represents a deepening of that artistry. Justine is like the old hymns she grew up with – even if you can’t quite put your finger on what makes them genuine and authentic, they are undeniably so. Appeals most (but not limited) to: Festival goers, music listeners, folkies, young women, middle aged males.